This line was clearly listed as a attribution and not a correct quotation on quoteland. The quotation is not attributed to Aristotle when it shows up in connection with Gestalt psychology. Indeed, a search of google books of the 20th century shows this proverbial saying as a generally unattributed axiom. The earliest example I can find so far is an essay by Patterson Dubois in the Pennsylvania School Journal, vol. 39. 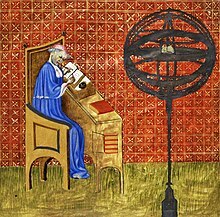 This essay certainly seems partly informed by some of the categorization in Aristotelian Metaphysics. Περὶ δὲ τῆς ἀπορίας τῆς εἰρημένης περί τετοὺς ὁρισμοὺς καὶ περὶ τοὺς ἀριθμούς, τί αἴτιον τοῦ ἓν εἶναι; πάντων γὰρ ὅσα πλείω μέρη ἔχει καὶ μή ἐστιν οἷον σωρὸς τὸ πᾶν ἀλλ᾿ ἔστι τι τὸ ὅλον παρὰ τὰ μόρια, ἔστι τι αἴτιον, ἐπεὶ καὶ ἐν τοῖς σώμασι τοῖς μὲν ἁφὴ αἰτία τοῦ ἓν εἶναι, τοῖς δὲ γλισχρότης ἤ τι πάθος ἕτερον τοιοῦτον. ὁ δ᾿ ὁρισμὸς λόγος ἐστὶν εἷς οὐ συνδέσμῳ καθάπερ ἡ Ἰλιάς, ἀλλὰ τῷ ἑνὸς εἶναι. If anyone can find a better passage, please leave it in the comments. See: οὐ ταὐτόν ἐστι τὰ μέρη καὶ τὸ ὅλον (150a15-16). "the whole is not the same as the parts"
By τὰ μέρη I mean the parts taken together here, e.g. someone who mistakenly says two people together have justice, because justice is A plus B and one has A and the other B. The concept of the "whole-before-the-parts" (along with the "whole of the parts" and the "whole in the part") is a key concept in Proclus (e.g., El. Theol. prop. 67), which could be the source for Aquinas. Drop dead you disgusting, pig-headed pseud.